Marcel Bertholds, a doctor and a Liv (1922-2009) passed away late in the afternoon on 7 November in his home in Lugano, Switzerland. 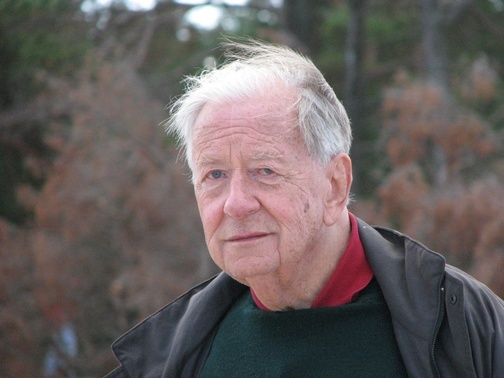 A psychotherapist, Honorary Doctor of the Latvian Academy of Sciences, Honorary Member of the Latvian Association of Transologic Psychotherapy, professor Marcel Bertholds was born in Riga, Latvia, on 10 July 1922. His family tree has the strong roots of the family Bertholds- the Livs. When World War II broke out he moved to Argentina where in 1955 he graduated from the Buenos Aires University, Faculty of Medicine. As a doctor practitioner and scientist he made his career in the USA. After many years of his professional career in Sweden he moved to Switzerland. In his old age Marcel Bertholds lived and worked in Lugano, was a member of Ascona Psychosocial and Psychosomatic Medicine Foundation and a university lecturer. Since 1989 Marcel Bertholds regularly visited his native country and was eager to support health projects and initiatives. He kept promoting his unique therapy of dreams which helped to improve the patients’ mental well-being. His original practical experience in this field can be found in audio cassettes, CDs and publications. Amazing is the fact that Marcel preserved his Liv identity throughout his life. He managed to give the Liv touch to almost everything he was doing. And here is the message to all his friends in Latvia written by his relatives:’Marcel wanted his ashes to be dispersed in his beloved motherland Latvia. He was proud to be a Liv and his will was to return to Kolka after his death. We wish his way in the new being to be peacful and eternal. We pray for him with all our hearts!